Koenig Solutions, a leading IT training provider and the world’s number one offshore training company, revealed the successful completion of the first batch of trainees for its new course offering, the EC Council ‘Certified Network Defender’ course. 13 participants completed the new course offering, which took place at the Koenig Training Solutions Centre in Dubai. The program has been designed to help address the growing cyber security skills gap in the region—as industry experts have noted the emergence of new cyber threats and criminals becoming more tech-savvy in their operations. Koenig is the first learning partner in the region to offer this course, potentially targeting the millions of IT and Network Administrators that remained untrained on network defense techniques. According to a report from Micro Market Monitor, the Middle East and African (MEA) region’s cyber security market is poised to grow to USD 13.43 billion by 2019. Network defense proves to be a timely and strategic course to offer as it represents a broader market globally, as compared to ethical hacking and penetration testing. In fact, the industry will face over 1.5 million unfilled IT security jobs globally in 2020–with 92 per cent of hiring businesses clamouring for highly skilled and fully certified candidates to fill in the openings. To help address this issue, Koenig believes focusing on people and essentially training up the next generation of workers in cybersecurity skills is the first step towards addressing this gap. Koenig’s ‘Certified Network Defender’ course is facilitated by EC-Council Certified Instructors with over than 10 years’ experience in the technical and training field. Network professionals with certifications from the likes of CCNA, Network+, Security+, are ideal candidates that need to take this course to upgrade their skills. The course forms the basis on which skilled professionals can pursue Certified Ethical hacking (CEH) and EC-council Certified Security Analyst (ECSA) courses thereafter. The program is designed to give students the opportunity to practice architectural thinking in the design of enterprise IT systems while also be trained on the use of practical tools and techniques, which they can take back and implement in their companies and organizations. “A recent industry report has forecasted that IT global spending on cybersecurity will grow to USD 170 billion by 2020—which can be attributed to the emergence and continued growth of the Internet of Things (IoT) security market, which is expected to grow from USD 6.89 billion in 2015 to nearly USD 29 billion by 2020. With this in mind, the cyber security market is poised to yield huge economic opportunities. 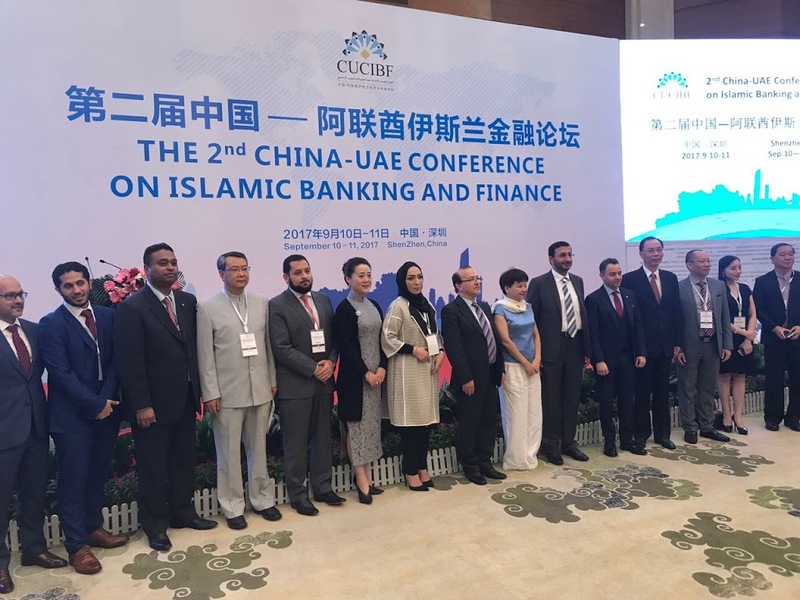 We remain committed to strengthening the UAE’s cyber security industry, and help businesses in the country to seize these opportunities and reinforce the trust of citizens and businesses in the digital world,” concluded Girish. Koenig is a leading provider of state-of-the-art technical training and certifications across all popular IT technologies available globally. The world class training at Koenig is offered through several innovative learning methods and delivery models to cater the unique requirements of a global customer base. With a workforce of over 300 certified trainers, Koenig offers key certifications via their 30+ authorizations, which includes the likes of Microsoft, Cisco, Oracle, VMware, Red Hat, Novell, EC Council, Adobe, among others. Some of Koenig’s prestigious list of clients in the Middle East and Africa region includes Abu Dhabi Investment Authority, Nakheel, PWC, Abu Dhabi Islamic Bank, RAK Bank, United Arab Bank Government of UAE – Department of Information, Communication, and Technology, ADNOC, DEWA, Du Telecom, the Prime Minister’s Office – UAE, Saudi Aramco, Saudi Chevron, Etisalat Nigeria, Angola LNG and TRA Tanzania. For more information please visit www.koenig-solutions.com. September 18, 2016 – Demand for e-learning in the Middle East continues to expand to address the challenges of skills gap in the region. According to the Middle East Skills Gap Survey released this year, the market in the region is in dire need for qualified personnel. This is especially the case with vacancies in senior-level positions, as 70 per cent of respondents confirmed the difficulty of finding candidates with the necessary skills and knowledge to fill the positions. E-learning is a vital tool that can be used to address this issue being accessible to people from all walks of life and presented at a lower cost. E-learning has also been proven to be effective, with studies showing that online courses increase retention rates up to 60 per cent in comparison to face-to-face training, which only registers an 8 to 10 per cent retention rate. 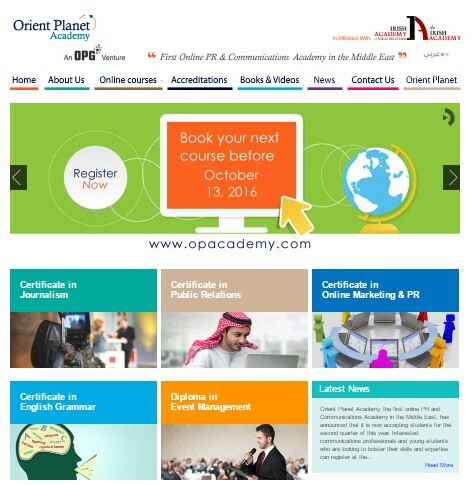 In recognition of its benefits and to address the needs of the market, Orient Planet Academy, the first online PR and Communications Academy in the Middle East, has announced its enrollment dates for the last quarter of 2016. The schedule was developed to meet the Arab World’s growing demand for e-learning segment and the popularity of the Academy’s courses. Interested learners can enroll for the October 13, November 17 and December 8, 2016 batch, depending on their convenience. 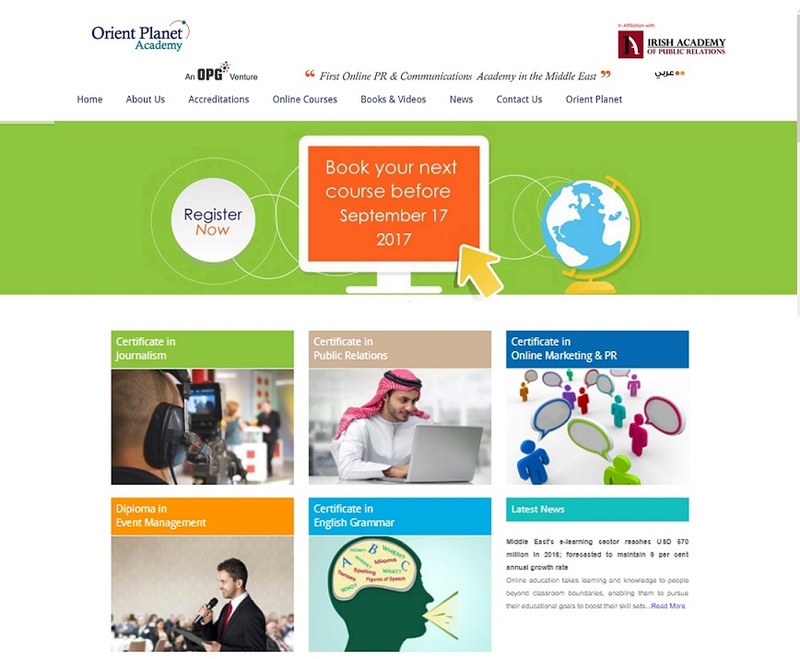 Orient Planet Academy is a direct collaboration between Orient Planet, one of the Middle East’s most rapidly growing PR marketing and communications consultancies, and the Irish Academy of Public Relations, an Ireland-based international online education provider of courses in communications disciplines. Orient Planet Academy’s courses have been exclusively developed by the Irish Academy to suit the needs of individuals within the Arab World. For more information about the Academy’s courses, visit www.opacademy.com. University of Salford delivers disaster management training in UAE. United Arab Emirates, 15 November 2015 – The University of Salford, United Arab Emirates (UAE), has joined forces with the Abu Dhabi Police to train and educate specialist Emirati agencies in leadership and disaster management. In collaboration with the police force, experts from the University of Salford delivered a specialist workshop entitled ‘Achieving Leadership in Disaster Management’. The session gave relevant organisations and stakeholders from across the UAE the opportunity to learn, discuss and debate the best way to handle disasters in the region. These situations could range from natural disasters such as an earthquake to man-made incidents like an oil or gas explosion or terrorist attack. The UAE is one of the fastest growing nations in the Middle East and North Africa (MENA) region, both in population size and economic growth. This rapid expansion has seen significant changes to the country’s infrastructure and built environment. These changes would be heavily impacted by any natural disaster or man-made emergency. The event, which was opened by the University’s new Vice-Chancellor, Professor Helen Marshall, and Chair of the Salford UAE Advisory Board, Dr Alaa Garad, was backed and attended by The National Emergency Crisis and Disaster Management Authority (NCEMA). The NCEMA is the body responsible for regulating and coordinating all efforts of emergency, crisis and disaster management in Abu Dhabi. It is also responsible for the development of a national plan for responding to emergencies, working under the supervision of the Supreme Council for National Security. Issues covered included three specific areas of disaster management at a regional and international level. These were ‘Collaborative Risk Assessment Environment in Disaster Management’; ‘The Strategic Approach to Emergency Preparedness in the UAE’, and ‘Community Centred Disaster Management within UAE: Challenges & Opportunities’. The academics worked in collaboration with representatives and stakeholders from police forces across the UAE to deliver the workshop. The workshop was also attended by stakeholders from the UAE Space Agency, the country’s Ministry of Defence and the senior representatives from the gas and petroleum sectors. The industry and government figures were joined by academics from Abu Dhabi, Khalifa, Sharjah and Zayed universities. Dubai Maritime Training Center establishes new standards of Maritime Vocational Training. 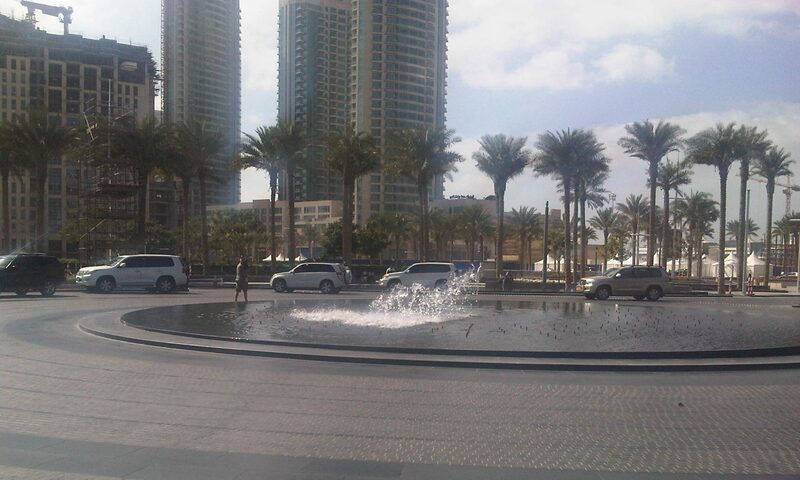 of the local maritime sector while also promoting the emirate as a leading global maritime hub. The Dubai Maritime Training Centre is an initiative developed by the Dubai Maritime Creativity Lab, which was launched earlier by DMCA. The centre work revolves around supporting the government’s efforts to introduce and position Dubai as a safe and sustainable maritime hub via the implementation of comprehensive set of world-class workshops and training programs. The Dubai Maritime Training Center is one of DMCA’s quality-focused initiatives, which aims to promote Dubai as an international maritime center by focusing on exchanging the latest industry information, introducing the latest practices and organizing international exhibitions, conferences and events, as well as improving training and education directed to those concerned with maritime matters. Considered as a leading drive for the development of human resource investment within the maritime sector, the Dubai Maritime Training Centre aims to collaborate with the best experts and pioneers to design and implement integrated training programs that address rapid international and regional changes and promote Dubai as a leading destination for maritime training and an attractive business environment for leading international maritime companies.